It is said that if the base and the internal foundation is strong, anything can be achieved. That is why expert at Women on Wings Florentine Steenberghe conducted a workshop on the internal processes at CropConnect. CropConnect brings traditional Indian food ingredients under its brand name Original Indian Table straight from the farm to the consumer’s kitchen. CropConnect aims to connect, mainly women, farmers to markets in a far more efficient manner so as to raise their incomes. 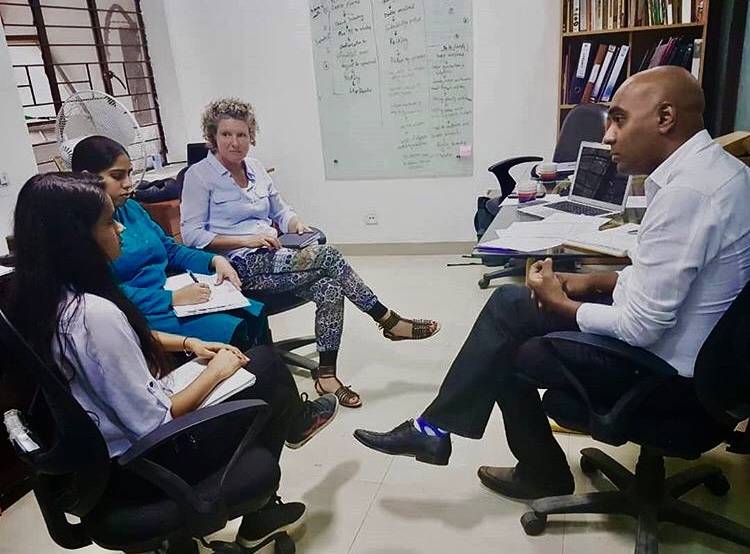 During the two days’ workshop, the Women on Wings team analyzed CropConnect’s supply chain with the focus on the various types of order and management processes. Following that, the flow of the warehouse procedure was also looked into. Inventory and procurement planning and IT related tools to make the entire system more productive were also debated in detail. It was an exhilarating two days with a solid outcomes which always inspires the Women on Wings team to continue working with its partners, like CropConnect and many more, towards its goal of co-creating more jobs for women in rural India. Till today, a total of 253,200 jobs for women have been co-created since the start of Women on Wings in 2007.